Social platforms have become an ideal avenue for beauty brands hoping to organically expand their reach. Due to its visual nature, Instagram in particular has been an attractive channel for brands looking to showcase their latest beauty products – including via influencers. Compared to the average female internet user, female Instagrammers are about 30 percent more likely to be interested in beauty products. 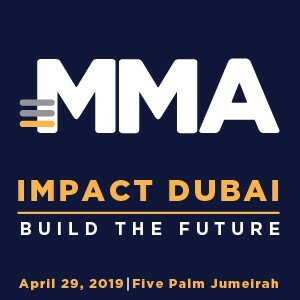 They’re brand-engaged on the platform too: over a quarter have followed a new brand or company in the last month, while a similar proportion has visited a brand’s Instagram page. 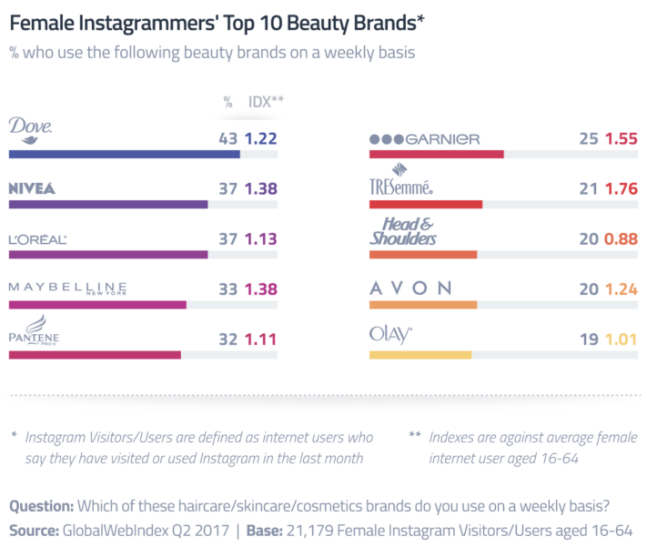 Dove is the brand female Instagrammers are most likely to be using on a weekly basis, but the indexes show great potential for brands like Garnier and TRESemme to make an impact with a good social strategy.